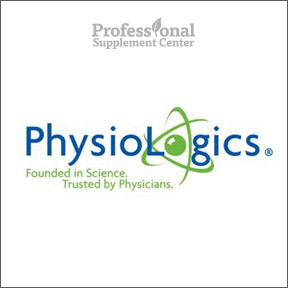 As a leading manufacturer of nutritional supplements, PhysioLogics® provides high quality solutions for managing wellness. Along with nutritionists, food scientists and dieticians and with the collaboration of their top-notch research and development team, PhysioLogics® makes use of the latest advancements in nutritional science and technology to produce safe, effective superior products. All raw materials and finished products undergo comprehensive in-house testing throughout the manufacturing process to ensure authenticity, consistency, purity and quality. All products are manufactured under rigorous FDA GMP standards in state-of-the- art independently audited facilities. In addition, PhysioLogics® is committed to full label disclosure in full compliance with FDA mandates. Turmeric Curcumin 1000 mg – Highly valued in Ayurvedic and Chinese medicine as an anti-inflammatory, antimicrobial and digestive aid, this product contains active curcuminoids, beneficial antioxidant flavonoids. Formula contains standardized extract of 95% curcuminoids along with Bioperine® black pepper extract to aid absorption. Gluten, soy and dairy free formula. Cinnamon with Chromium Picolinate – This formula provides a synergistic blend of cinnamon and chromium picolinate, clinically studied ingredients that support sugar, fat and nutrient metabolism. Gluten, soy and dairy free formula. MesoVision – This proprietary blend provides important carotenoids that nutritionally support visual acuity and macular health. Specific photoprotectant antioxidants help to minimize free radical damage generated by exposure of the lens to light and oxygen. Gluten and dairy free. GABA 750 mg – GABA is an amino acid produced naturally in the central nervous system, which acts as a precursor aiding in the production of calming neurotransmitters. GABA helps to calm overexcited nerve impulses and promotes restful sleep and balanced mood. Gluten, soy and dairy free formula. Flush Free Niacin 500 mg – This water soluble B vitamin with inositol aids in the maintenance of cardiovascular, nervous system and digestive health and will not cause uncomfortable flushing for most people. Gluten, soy and dairy free formula. Triple Omega 3-6-9 – This harmonious blend of oils contains essential and nonessential long-chain polyunsaturated fatty acids. This product delivers a combination of flaxseed, borage and fish oils to provide both omega-3 and omega-6 fatty acids in support of cardiovascular, immune, musculoskeletal and overall health. Gluten and dairy free formula. This entry was posted in Home and tagged Cinnamon with Chromium Picolinate, Flush Free Niacin 500 mg, GABA 750 mg, MesoVision, Physiologics, Triple Omega 3-6-9, Turmeric Curcumin 1000 mg. Bookmark the permalink.